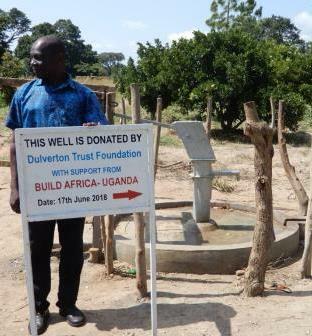 Having volunteered with Build Africa for a year I was excited when the opportunity arose for me to fund a joint visit with my friends and new colleagues in Uganda. Travelling through the country allowed me to gather valuable information, and speak to lots of people. As someone who has spent most of his working life assessing risks, admittedly in banking not in education, I was keen to understand the local risks, and how the funds raised by UK sponsors were employed and how the children benefited. I was not entirely prepared for the beauty and flair of the country that greeted me during my first trip to Uganda. The diversity of wildlife, the striking landscapes, the children with so much enthusiasm for life. On arrival at the Build Africa office, I was greeted by the Country Director, Anslem, and two members of the programmes team. We met with the Education Secretary for the district of Kumi. Kumi is an area where the population is growing at an exceptional rate and the requirement for education is enormous. We visited two primary schools. In both schools Build Africa has undertaken a revamp of the classrooms, so that the children have a safe space in which to learn. New kitchens and boreholes were built, so that meals can be prepared hygienically, and clean water can be accessed easily. Latrines were also installed. These are particularly important as they provide a clean and private place for girls to use when they are on their periods, helping them to stay in school. The transformation was impressive and satisfying to see. Later, I was pleased to meet with Build Africa Area Programme Manager George in Masindi, in the West of the country. We visited two other schools, both at a different stage of development. The first primary school, situated in a very remote area, was supported by the local community with the grant of land from the local church. Build Africa recently built latrines for the school, and is now looking at transforming the building itself, to make it a safer and more comfortable place for children to learn. 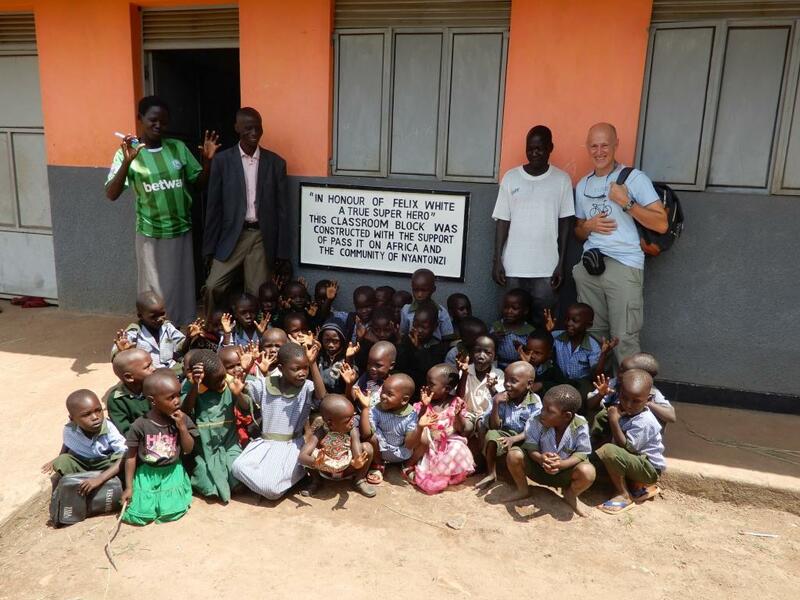 The second school that I visited in Masindi has 724 enrolled children. It is a model for the other local schools, with its new classroom blocks, latrines, kitchen and teachers’ accommodation. These visits helped me realise the time it takes to transform a school, and the depth of work that Build Africa has to do to ensure the success of its mission. Building a school does not only mean laying bricks, it also requires teacher training and educating the local community. Wanting to help families by building schools is one thing, but to do it successfully is another. After visiting these schools, I promised myself not to disappoint those parents I met and who have placed so much trust in us. Nothing can quite prepare you for the poverty and inequalities of life that you witness, but equally for the warm welcome of the children and their teachers. There is still work to be done – many children are not in school. I saw them carrying large containers of water for long distances with no shoes, others working in the fields. The Build Africa mission states: “Every child at school. Every child learning”. This is what the charity is striving to achieve and I could not agree more after what I saw. Poor road and medical infrastructures, feeding a rapidly expanding population and a lack of job opportunities are some of the issues facing this beautiful country. However, as I saw on my trip, in providing Uganda’s children with an education, we are enabling the next generation of change- makers. These children, who are so full of life and character, have so much potential. These children have the same right to an education as any others, a fundamental right recognised by the U.N. The reality is that many children are still not given this basic right. It was not difficult for me to realise how much donations can achieve. They impact lives in a monumental way by providing fundamentals such as clean water, decent toilets, teacher training and education. My final take-away from this trip is that Uganda is also an amazingly beautiful country with warm hearted and welcoming people and I will be missing my new friends. The week went very quickly and it convinced me more than ever that there is no way they can resolve alone their massive education needs.